Rendercore Lab Now Supports Anima 3.5.2 for 3dsmax and C4D! anima: New anima alive™ system, which allows you to easily synchronize your work between the anima application and the compatible plugins. A new button has been added to the viewport which will indicate the current status of this tool. By pressing this button you can establish a link between your 3D application and anima, allowing you to synchronize data like scenes, backgrounds and even cameras. Refer to the documentation for more details. anima: Static and animated cameras are now supported as part of the new anima alive™ system. Any cameras available in your 3D application will be automatically shown inside anima as a new button in the viewport. You can select which camera you wish to preview from there and either press the button or use the keyboard shortcut to toggle it on or off. anima: A new GPU-accelerated skinning system has been introduced, improving deformations on joints such as elbows, wrists and knees. This improved skinning will be calculated when importing new actors. This skinning is supported by the 3DS Max Plugin, Cinema 4D Plugin and all exporters that use point cache animations. anima: The included system assets as well as the AXYZ Shop assets have been improved significantly, including improved texture colors, standardized poses, improved skinning and many other details. anima: The included system motion clips have also been significantly improved to match the new standard poses, resulting in more consistent animations in general. anima: The panel manager has been redesigned, and will now be displayed across the anima title bar next to the window buttons. anima: The mode toggle can now be found on the left side of the title bar, right next to the anima home menu. anima: ¡Ahora puedes trabajar con anima en Español! Support for Spanish has been added and can be selected from the application preferences panel. anima: The toggles in the project tree (on/off, visible, lock) have been modified to support the selection of multiple items properly. anima: The welcome screen has been redesigned and will now include the anima blog, displaying the latest news about anima or new content in general. anima: New products have been marked as such and shown first in the AXYZ Shop included in the actor library. anima: A new reference pose toggle has been added to the actor editor, allowing you to easily compare the pose of your actor with the standard anima pose. This should be helpful for correcting the pose of your custom actors and improve their compatibility with the motion clips. anima: When importing new actors from FBX files, more matching sets for their skeletons will now be suggested as they’ll be automatically downloaded and updated from our online database. This should make it easier to import assets from other 3D applications. anima: When importing new actors from FBX files, their original polygons will now be preserved inside the file instead of just triangulating. We’ll make use of this data in the future to improve the visual quality when possible. anima: A new option has been added to the FBX actor importer to select the bind pose to be used. By default, the regular behavior was automatic and the bind pose would be determined by the original skinning pose in the file. However, the new option allows you to use the first frame of the FBX file as the bind pose, allowing you to pose the actor to match the anima pose without having to redo its skinning. anima: The skeleton matching panel in the FBX actor importer has been updated to include more options such as Spine and Twist bones. Mapping these properly should allow you to import custom content from more 3D applications than before. anima: The hair shader material has been significantly improved for actors that use meshes with transparent textures. anima: It’s no longer necssary to completely calculate the scene before being able to press the lock buttons in the project tree. Clicking on the lock button now will ask if you wish to calculate the frames so you don’t need to wait around for the process to finish. This is specially useful when dealing with scenes with a large amount of actors. anima: A new button to visualize the scene from the top has been added in the viewport. This is just a perspective view from a top-down direction, not an orthographic projection. anima: Path points and area points will now scale relative to the camera distance, allowing you to select them more easily regardless of your current camera zoom. anima: Open project will now open in the directory of the most recent project by default. anima: Changing the purchases path no longer forces you to copy the files and delete the ones in the target path. A new message will appear and ask if you wish to move the files or just change the path. anima: Chairs and tables will now be tall chairs by default, allowing the actors to place their feet on the ground. You can still disable this behavior manually in their properties. This change does not affect existing scenes. anima: Information such as version number, authors, copyright and more have been embedded in the executable and DLL files so they’re displayed in the Windows Explorer. 3DS Max Plugin: A new panel that displays the Ready-Posed content that is currently installed has been added the Plugin’s menu. You can drag and drop said models from either this panel or the anima application into the 3DS Max viewport and they’ll be imported and converted to be part of your 3DS Max scene. You can also place and orient the models in the viewport in the same way as anima. Cinema 4D Plugin: A new panel that displays the Ready-Posed content that is currently installed has been added the Plugin’s menu. You can select which models you’d like to import from there and they’ll be automatically converted and inserted into the scene. Unreal Engine 4 Plugin: A new panel that displays the Ready-Posed content that is currently installed has been added the Plugin’s menu. You can select which models you’d like to import from there and they’ll be automatically converted and immediately available from your project’s content browser. anima: Various UI style issues have been fixed across the entire application. anima: Multiple performance improvements have been made to make editing in scenes with a large amount of actors more bearable. Performance in scenes with background models has been significantly improved. anima: Motion clips can now have mutually exclusive categories, so clips are not placed in categories that aren’t compatible (like Locomotion with the rest) and said animations are not placed in the incorrect slots for an actor. This should prevent confusion from using Locomotion clips as Idle animations and causing unintended behaviour, which was possible to do so by just drag and dropping the animation on top of the actor. anima: Fixed a crash caused by not properly reloading a background when its up axis or scale was changed and it was in use by other scenes. anima: Clearing an actor’s model will now mark it internally as a generic model so it doesn’t show up as a missing model in the plugins. anima: Actors are no longer allowed to socialize with the same Square area until they’ve looped around their path, preventing issues like re-entering said Square after having socialized with it. anima: Invalid walk clips can no longer be used on paths and a warning will be displayed when trying to use one. anima: Fixed an issue where stairs with certain step lengths would be detected incorrectly, causing actors to glitch out and disappear from the animation. anima: Fixed an issue where the application would not respond after drag and dropping at least 3 linked actors that were placed in the exact same spot in the viewport. anima: Fixed an issue where the FBX importer would allow a model to be imported even if it didn’t have the right skin deformers applied to it. A warning will now be displayed and the process will be stopped. anima: Fixed an issue where the FBX importer would allow invalid files to be imported as motion clips even if they didn’t have animations. anima: Fixed an issue where the FBX importer would corrupt a backup if variations were present when reimporting an actor. anima: Fixed some extreme cases where the variation color generation for actors would differ from what was being previewed in the editor. anima: Fixed an issue where dropping files in the anima window could cause stability problems depending on what the application was currently doing. anima: Fixed an issue where updating the materials of an actor would not be reflected properly in the regular drawing mode. anima: Fixed an issue where the camera could be turned upside down depending on the amount of movement in the cursor. anima: Fixed an issue where the camera would rotate incorrectly when in orbit mode and in a vertical position. anima: Fixed an issue where the area tool would start drawing incorrectly if the previous drawing action was cancelled. anima: Fixed an issue where the current selection would be cleared when playing on preview mode. anima: Fixed an issue where the currently selected actors’ billboards would show up in preview mode. anima: Fixed an error where a non-critical warning would stop the application on a Windows API font function. anima: Fixed an incorrect displayed name in one of the bones of the pose editor. anima: AXYZ Shop assets can now properly update their poses or tag information if new versions of them are installed. anima: The Max RAM Frameblock buffer setting should now work properly across the project and not per scene, leading to reduced RAM usage in general in projects with lots of big scenes open at the same time. anima: The licensing panel will now accept the right type of e-mail addresses, as the regular expression has been updated to match the one used by the AXYZ servers. anima: Support for UTF-8 encoding has been added to more parts of the application where applicable, making the support for other languages significantly more stable. anima: The Space key being repeated will now be ignored by the playback controls. anima Plugins: Fixed an issue where the texture cache would not get recreated in the same order as it was originally created if it was deleted. The texture cache will now be created consistently in the same way even if it’s deleted as long as the project and scenes are unchanged. 3DS Max Plugin: Fixed an issue where the Plugin menu would not appear in 3DS Max 2019 under certain cases. anima: Fixed auto-updater not appearing automatically when anima starts. anima render node: Fixed auto-updater incorrectly showing a message of expired license. 3DS Max Plugin: Fixed stability issues with alive™ functionality. 3DS Max Plugin: Improvements in alive™ connection panel. 3DS Max Plugin: Fixes on material translator. 3DS Max Plugin: Improved Standard material. 3DS Max Plugin: Limit the creation of more than one anima project in a single max file. 3DS Max Plugin: Fixed render preset loading issue. Cinema 4D Plugin: Fixed stability issues with alive™ functionality. Cinema 4D Plugin: Fixed hang on exiting when alive™ or QuickDrop™ was running. Cinema 4D Plugin: Fixed alive™ connection when the document was closed. Cinema 4D Plugin: Fixed alive™ cameras field of view. Cinema 4D Plugin: Added support for Python commands to create .anipack projects. For more information go to visit AXYZ Website. 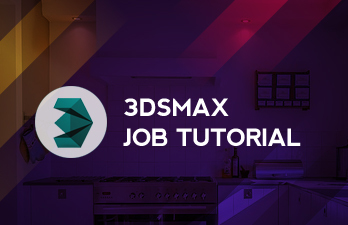 View our 3dsmax Job Submission Tutorial to get started.